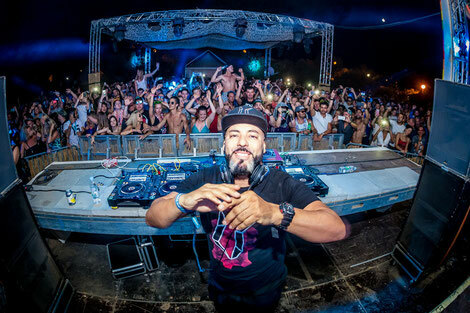 Defected Croatia recently revealed the Phase 2 artists for 2018, including Dennis Ferrer, Soul Clap, Riva Starr, Dan Shake, DJ Gregory, Black Motion and more, joining an already comprehensive billing of house DJs. The festival returns to The Garden, Tisno on 9-14 August for six days of house music and sunshine, the festival’s third and biggest yearly instalment. Making their Defected Croatia debuts alongside Phase 1 headliners Dimitri From Paris and Masters At Work are artists including French house artist DJ Gregory, Mahogani Music’s Dan Shake, breakthrough kid DJ Boring, Soulfuric head Brian Tappert, Crazy P co-founder Hot Toddy (playing solo as well as with the Crazy P crew) and Glitterbox’s Sophie Lloyd. New York’s Dennis Ferrer joins the headliners and South African duo Black Motion will be bringing back their tribal house sound, making the trip to the festival once again after appearing on the Main Stage in 2017 with their live set. More acts now added include Angelo Ferreri, Lorenz Rhode (live), Armless Kid, Copyright, Fred Everything and Jamie 3:26.